View of the Château de Chaumont, a castle located in the Loire Valley. 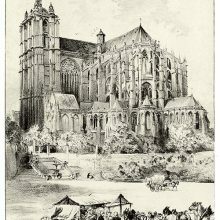 The building stands on the site of a former fortress, which was destroyed in 1465 by order of King Louis XI. 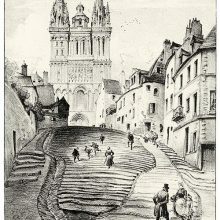 The reconstruction started in 1469. 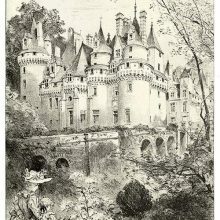 The caption reads in the original French: Château de Chaumont-sur-Loire.